What does a soccer player do when she is 23, pregnant, and rehabbing from a serious injury? If you’re thinking retirement from soccer, so was Jess McDonald at first. There was no professional league in 2012, the year Jeremiah was born. NWSL launched in 2013 and McDonald signed as a free agent with the Red Stars, the team that originally drafted her into WPS in 2010. McDonald also spent some time in Seattle. 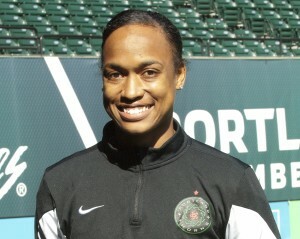 She came to the Thorns in an offseason trade for Danielle Foxhoven. The rights to Rebecca Moros also went to the Thorns. In four games as a Thorn so far, McDonald’s game has come to life. After struggling to finish in the first two games and part of the third, she erupted for a pair of quick, late goals to help beat FC Kansas City, 3-1 in the home opener at Providence Park. And last weekend she scored the lone Thorns’ goal in a 1-1 draw in Western New York. The brace for the Thorns matches the same accomplishment for the Reign last summer, and it makes McDonald the first player with a multi-goal game for two different NWSL clubs. This weekend McDonald and the Thorns will head into one the most anticipated matches in the short history of NWSL. At 2-0-2, the second-place Thorns will host the first-place Reign, who are 5-0-0. The natural Portland-Seattle rivalry had some trouble getting going last season when the Reign were a poor side and the Thorns won all four meetings. McDonald said she expects the intensity level to be up from a year ago. The next day is Mother’s Day. Courtney and Jeremiah call Arizona home and while they have been in Portland the last several weeks and will be there through Mother’s Day, there is a long-distance element to McDonald the soccer mom. “The long distance, it’s been okay simply because I have their support, which has made me feel a lot better,” she said. As for Mother’s Day on Sunday, McDonald is not sure what she’ll do. “We’ll probably just go out to eat somewhere.” At 2 years old, Jeremiah knows that his mom plays soccer and enjoyed his first experience at Providence Park. But he’s still too young to get the significance of what she does. McDonald hopes her achievements will one day resonate. — For a variety of reasons I was unable to catch up on enough Week 4 action to feel comfortable making a Player of the Week vote. So there was no vote from me this week. A few performances that stood out though: Taylor Lytle was excellent for Sky Blue on Saturday, controlling the left flank and sometimes switching to the right. 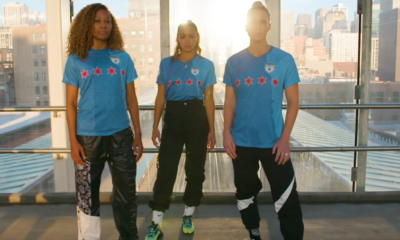 At some point Lytle and Katy Freels figure to make a dynamic duo in the Sky Blue midfield (Freels did not play Saturday, a first for her in NWSL); Brittany Cameron was also very good for Sky Blue. The club seems to come alive when she plays. 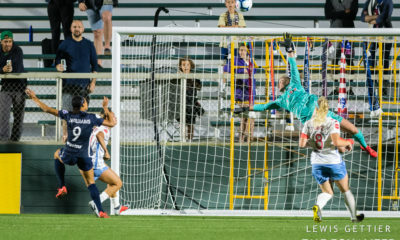 FC Kansas City had a particularly good week with a pair of shutout wins and it is obvious Amy Rodriguez is going well having scored in both matches. Other standouts from Wednesday were Jen Buczkowski and Jenna Richmond. If they keep it up the old FCKC could be in full force. — We finally saw two players sent off on Saturday, but neither was for the sort of rugged foul fans have been clamoring about since last season. Lisa De Vanna got it for dissent after it appeared she continued arguing rather than taking what looked like an initial yellow. Tough way to go out but she has to be more composed in that moment. I’m torn though on the card to Osinachi Ohale for fouling Amy Rodriguez as the last defender. If it was a foul it had to be a red card but the contact seemed minimal, almost as if Rodriguez may have lost her balance trying to avoid it. Then again the referee may have seen something that was not readily apparent on the streamed replay. 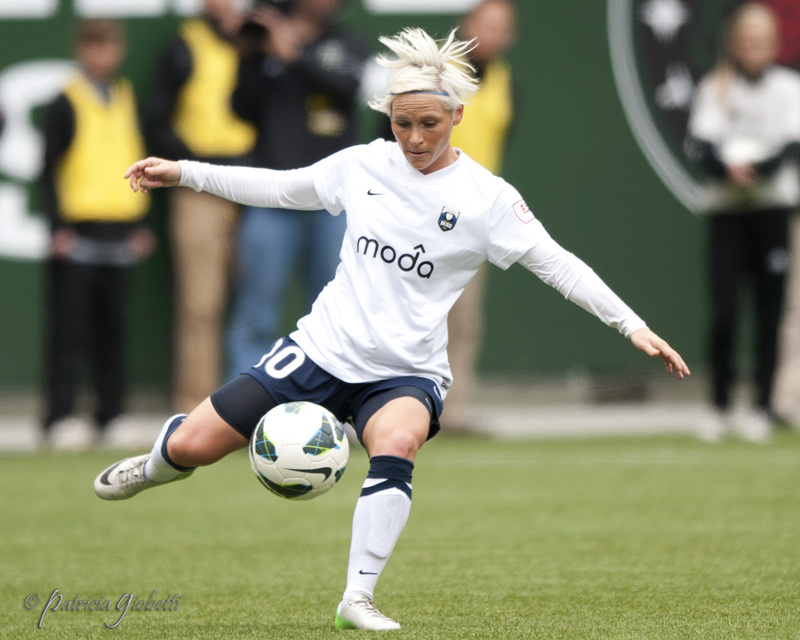 — No returning Seattle Reign player has been helped more by the new acquisitions than Jess Fishlock. Laura Harvey uncovered the Welsh international last season and she proved herself an outstanding ball-winner in midfield. But there were too many times she tried to do too much to help a struggling club. This season she has been able to sit deeper, still win balls, and make more natural runs to join the attack. The better parts of her game are being displayed this season. — Wednesday’s FC Kansas City attendance was the lowest in team history by more than 1,300. — Sky Blue’s 775 for Wednesday’s monsoon game is the 3rd NWSL game not to crack 1,000. Sky Blue (688) and the Red Stars (790) had the two lowest-attended games last season. — Speaking to Glenn Crooks on halftime of Saturday night’s Sky Blue web stream, U.S. Soccer president Sunil Gulati all but ruled out any current NWSL coach from being the next national team head coach. 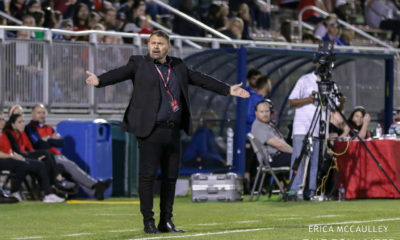 “I think it’s very hard for an NWSL coach to do double duty and we’re in the middle of the NWSL season with a very short time frame between now and qualifying. So I think it would be very hard.” Gulati added that he still believes a new coach could be in place by the end of the month. — The international calendar is about to decimate NWSL clubs. Along with the U.S.-Canada friendly on Thursday, the Australian players are leaving for Vietnam, where they will contest the Asian Cup for World Cup qualification, following the midweek matches. Lianne Sanderson, back with the England, is preparing for a World Cup qualifier against Ukraine on Thursday. Jessica Fishlock also has a Thursday qualifier for Wales, making her status questionable for the Reign’s Saturday clash against the Thorns. — Coach Rory Dames apologized to Red Stars’ fans for the team’s 1st half performance in Kansas City. He added that it would not happen again. Next up is a trip to Sky Blue this Wednesday. — The Red Stars inked New Zealand defender Abby Erceg. The 24-year old is expected to join the Red Stars the week after next. Her 96 caps are the most in the history of the New Zealand women’s program. “Abby provides us with a higher level of professionalism and leadership which she acquired during her time in Australia, Germany, Spain, and as captain of the New Zealand national team,” Dames said. — Two more full 90-minute showings for NWSL iron women CoCo Goodson and Jen Buczkowski. The last two players not to miss an NWSL minute have now started 27 straight regular season matches and played 2,430 minutes. Both Sky Blue (Goodson) and FC Kansas City (Buczkowski) play twice more this week. 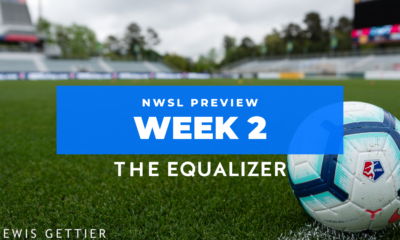 — It was quite a week of weather in NWSL. Wednesday night Sky Blue and Seattle Reign FC played through a torrential downpour that never let up. Saturday in Rochester the Flash and Thorns had to leave the field for more than half an hour after a hail storm accompanied by some lightning engulfed the area. All things considered, both matches turned out pretty well. — Allie Long and Jess McDonald have scored all of the Thorns’ goals this season, yet they remain undefeated. — First bit of quick analysis ahead of Saturday’s battle of unbeatens between the Thorns and Reign is that I don’t think the Thorns have outright dominated anyone they have played yet. So I’m not sure how they will be able to dominate the Reign. — And finally, that match has been moved up three hours to 7 pm EDT/4pm PDT to avoid a conflict with the Trail Blazers’ NBA playoff game down the road.